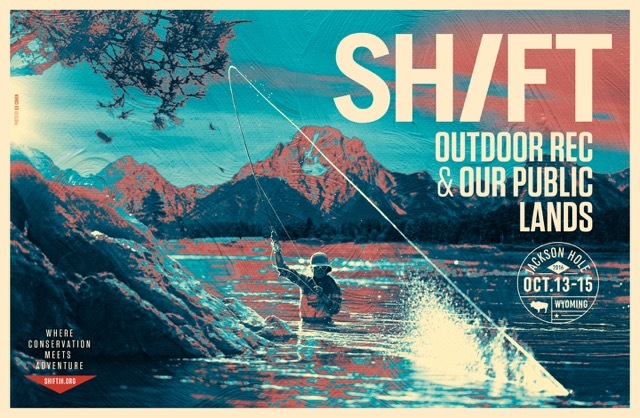 SHIFT, the organization dedicated to leveraging outdoor recreation for conservation gains, is delighted to share that tickets for the 2016 SHIFT Festival in Jackson, WY are now available. Outdoor Council members are eligible for a 25% discount on the SHIFT Summit (daytime events) with the code ‘PUBLICLANDS’ in Eventbrite. All evening events at the Center for the Arts in Jackson, WY. Williams’ forthcoming book, The Hour of Land: A Personal Topography of America’s National Parks, to be published by Farrar, Straus & Giroux in May, is an ode to the complexity and continuity of our public lands, as exemplified in our national parks and monuments. Stacy Bare, Director of the award-winning Sierra Club Outdoors and recipient of the 2015 SHIFT Adventure Athlete award, will keynote the Adventure, Inspired film program. The film program, which will take place on Friday, October 14, at Jackson Hole’s premier, 525-seat performing arts center, The Center for the Arts, will explore the topic of engagement by outdoor recreationists whose exploits are chronicled in the evening’s films. SHIFT’s popular celebration of the local food system, The People’s Banquet, pairs local chefs with local farmers, cheese makers, bakers and brewers to create small plates sourced from local ingredients to create Jackson’s “foodie event of the year.”After his presentation at The People’s Banquet, Mr. Rinella will be interviewed by Whit Fosburgh, President and CEO of The Theodore Roosevelt Conservation Partnership. In his career, Mr. Rinella has spoken to a wide range of audiences about his life as a modern-day hunter-gatherer. With humor and irreverence, he discusses the hunting lifestyle, wild game, the ethics of hunting, and the spiritual need for wilderness. His talks are punctuated with stories of amazing and sometimes absurd adventures, such as getting poisoned by wild mushrooms, charged by a grizzly, bowled over by a moose, and nearly crushed by a wild boar that fell from the sky under very strange circumstances in the central highlands of the Philippines’ Luzon Island. Mr. Rinella’s numerous books have been awarded the Sigurd F. Olson Nature Writing Award and the Pacific Northwest Booksellers Award. American Buffalo was named one of the best fifty non-fiction books of 2008 by the San Francisco Chronicle.